Pos Malaysia Bhd expects its courier, express and parcel (CEP) business to drive future growth, based on the segment’s performance in the past financial year ended March 31, 2015 (FY15), as its traditional mail segment continued to post a decline. Pos Malaysia’s covering group chief executive officer Azlan Shahrim said: “The CEP segment will be the main driver for the company, going forward. Last financial year, the segment grew 22% year-on-year (y-o-y), and it grew at around the same pace in the first quarter (1QFY16). 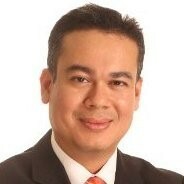 We are expecting the same trend to continue,” Azlan said at the company’s annual general meeting (AGM) last week. For the first quarter of financial year 2016 (Q1FY16) , which ended on 30 June 2015, Pos Malaysia recorded a net profit of RM22.74m (US$5.4m), down 16% from the previous year period. Revenue, however, increased by 6% to RM390.37m, due mainly to higher volume from its transshipment business from the mail segment. For FY15, Pos Malaysia saw net profit fall by 20% to RM127.05m, although revenue increased 4.7% to RM1.49bn. Meanwhile, DHL Global Forwarding has appointed veteran Charles Kaufmann as CEO for North Asia in addition to his existing role as head of Value Added Services for Asia Pacific. The appointment was effective as of 1 August 2015. Kaufmann was appointed CEO for Japan and Korea in 2006, before becoming the Chief Operating Officer for North Asia Pacific in 2011 managing air freight operations, purchasing and pricing policies across the 21 countries. 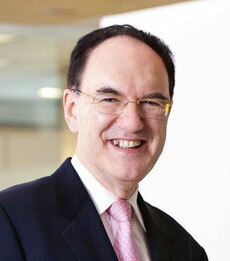 In 2012, Kaufmann was named Head of Air Freight and Value Added Services in DHL Global Forwarding Asia Pacific.